While backing up data to the cloud offers one means of improving disaster resiliency without having to painstakingly establish a remote DR site, ransomware attacks, malicious users, and accidental deletion still pose serious threats and can compromise data availability. Therefore, cloud repositories alone are not enough to safeguard your data. 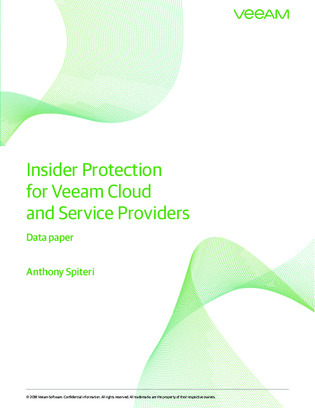 Access this paper to learn about a deleted backup protection solution from Veeam that’s built for securing cloud data and protecting against malicious attacks, rogue admins, or accidental deletion.